The trust split that took place in Kennon v Spry was probably the fundamental thing that meant the whole structure and intended strategy fell over. After the separation with his wife, Dr Spry took steps to split the trust or segregate the assets of what was in the initial family trust and create four separate sub-trusts for each of the four daughters of the relationship. Dr Spry did that effectively, in the court’s view, as a way to mean that not only did he not have the assets, so that he could be subject to giving them up to his wife, it also meant that his wife didn’t have them either. Essentially it was his way of saying to the family court ‘catch me if you can’. Where the court landed was that they effectively ignored the attempted trust split. While it might have been effective for tax purposes, while it might have been effective for stamp duty purposes, while it may have even been effective from an estate planning perspective, it was done after the relationship had broken down. Although there were a myriad of other factual issues that called into question the way Dr Spry conducted himself, the court effectively simply ignored the trust split. What that meant in a practical sense was that all of the assets that had otherwise been given to the control and benefit of the four daughters of the relationship were returned back into the head trust and the control of that trust was deemed to be solely with Dr Spry. 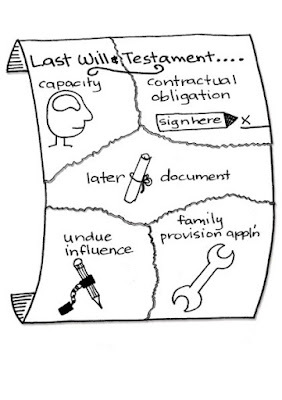 Once the court had gone through the unwinding of the estate planning exercise, or what was argued to be an estate planning exercise, once all that was unwound and all the assets were back up under the main trust, it was then quite easy for the court to say that trust was under the sole direction and coercion of Dr Spry. Therefore, those assets could then be administered under the terms of the family court order and pass entirely to the benefit of the wife. As mentioned in a number of recent posts, one of the ways in which a disgruntled beneficiary can challenge a person's will is by making an application to the court for further and better provision from the estate. Historically, in all Australian jurisdictions, courts have only been able to make further provision for a beneficiary out of the assets that directly form part of the deceased’s estate. In New South Wales however, special rules have been implemented that allow the courts to make orders in relation to assets that do not in fact form part of a deceased’s personal estate. 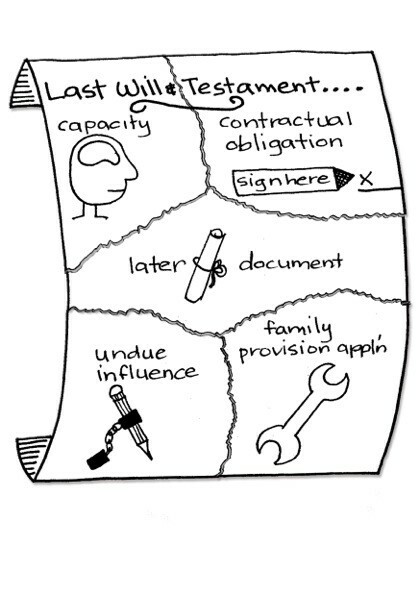 In many respects, the rules are analogous to the bankruptcy legislation in that will makers who take steps to remove assets from their personal name leave those assets exposed to be 'clawed back' into the estate for the purposes of family provision applications made within 3 years of the date of their death. While the rules apply to anyone living in New South Wales at the date of death, they also potentially apply where the will maker has any assets connected with New South Wales (including shares in companies whose registered office is located there). While there have to date been very few cases that have applied the notional estate provisions, we are seeing an increasing number of clients implementing specific strategies to reduce the risk of the rules applying to their estate plan. One of the aspects listed was the ability to challenge a will due to the will maker’s failure to make adequate provision for certain beneficiaries. Certainly family provision applications are by their very nature extremely subjective and therefore often turn almost entirely on the court's interpretation of the factual matrix. One of the key aspects of family provision applications is that generally it is only the assets that form part of the will maker’s personal wealth that can be reallocated by a court.